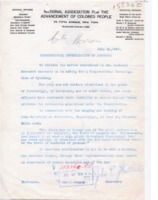 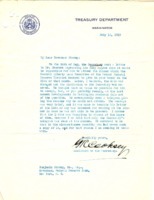 Date is exactly "1919 July 10"
Norman H. Davis sends Joseph A. Avenol a letter of introduction for Benjamin Strong Jr.
GR Cooksey to Benjamin Strong Jr.
G.R. 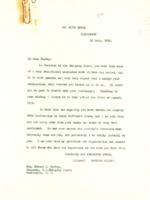 Cooksey writes Benjamin Strong Jr. to send him a telegram from Carter Glass explaining why Glass could not attend a dinner in Strong's honor. 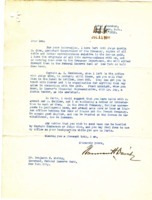 Norman Hezekiah Davis to Benjamin Strong Jr.
Norman H. Davis sends Benjamin Strong Jr. two letters of introduction for his European trip.